Whether you’re escaping on a family adventure, reconnecting with friends on a group getaway or sneaking away for a romantic beach vacation, family holiday, weekend getaway or a sightseeing tour, Oceanaire Resort – a Diamond Resort, provides everything you need for a first-class stay. Every last detail of the Oceanaire experience is tailor-made to provide luxurious comfort. The chic indoor infinity pool, retro-inspired lobby and elegant Ultra Craft Cocktails hold an air of sophistication that carries over into the spacious accommodations, making us a coveted choice among oceanfront Virginia Beach resort hotels. When it comes to our chic adults-only indoor-pool-slash-lounge on the ocean, there’s nothing like it in Virginia Beach. Head over to Ocean Beach Club, where you’ll have access to the expansive outdoor pool on the beach, a shallow entry kiddie pool and a heated indoor pool with water features. The Virginia Beach sun, sand and surf can take a toll on your gear. Take advantage of our convenient laundry facilities. Head up to this oasis in the sky to enjoy stunning 360-degree views of the ocean and Virginia Beach. With inspiring ocean views and modern weight and cardio equipment, your workout will be second-to-none. With games and activities to keep kids busy for hours, you’ll love our Game Room as much as they do! Whether you describe it as poolside or oceanfront, Tortuga’s is Virginia Beach’s “Little Slice of Paradise”. One of the prime perks of staying at Oceanaire – aside from its picture-perfect oceanfront location – is the unparalleled access to a diverse selection of swimming pools. The two expansive oceanfront outdoor pools and our indoor pool in Virginia Beach with cascading water features at neighboring Ocean Beach Club are ideal for fun-filled family swim sessions, while grown-ups can discover relaxation at the indoor adult-only Aqua 21 pool. 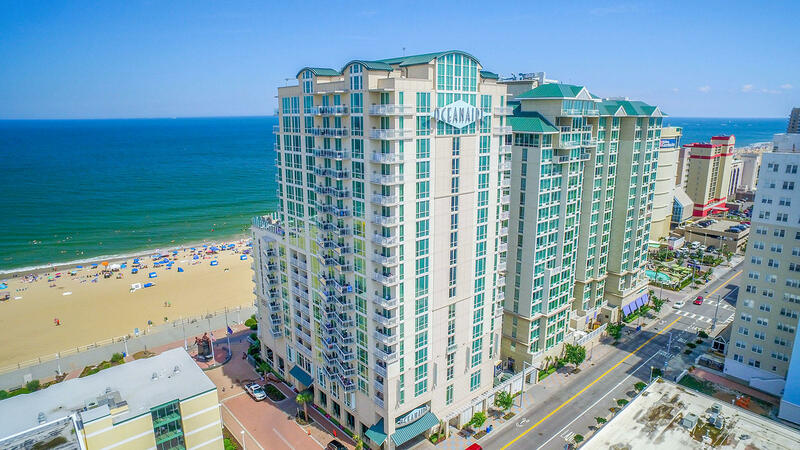 Aqua 21 – Looking for oceanfront hotels in Virginia Beach with indoor pool? Look not further. This stylish oceanfront indoor pool is open to adults only and includes a deck where guests can relax in chaise lounges poolside or cozy furniture by an oceanfront fire pit and waterfall that overlooks the boardwalk. Ocean Beach Club outdoor pools – Two tropical-inspired pools adjacent to Tortugas Café and Tiki Bar – one is a children’s pool with a shallow entry and water features. Ocean Beach Club indoor pool – Among Virginia Beach hotels with indoor pools, Ocean Beach Club is a winner. 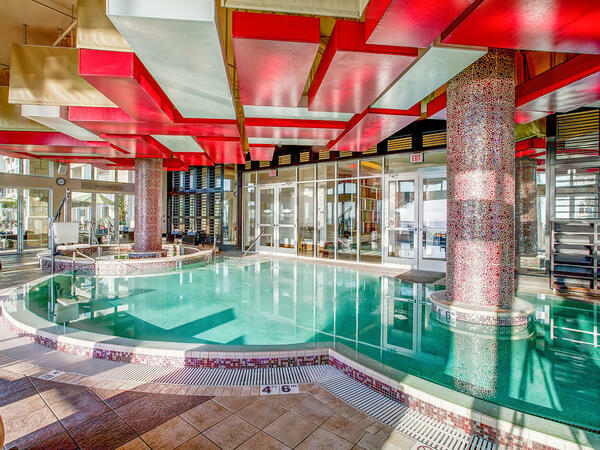 Enjoy this expansive indoor pool with cascading waterfalls. Stay fit and take in a panoramic view of the boardwalk and beach at Sky Fitness, a state-of-the-art Virginia Beach fitness club located on the 17th floor of Ocean Beach Club. All Oceanaire Resort Hotel guests receive access to Ocean Beach Club’s modern Virginia Beach hotel gym, which features a wide range of cardio and weight machines. Ocean Beach Club is located next door to Oceanaire.